Chris has been fishing since he was a toddler, cutting his teeth on bread and butter species in his early years. Just over 13 years ago, he turned his hand to lure fishing for bream and the tournament scene, having a blast and lucky enough to win a tournament or 2 along the way. 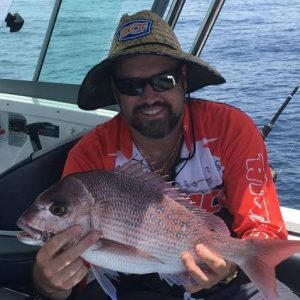 These days, he has developed a love for the blue water and the larger fish species, but still finds time to do the odd bream tournament.